This is the third in a series of blogs on children in polyamorous families. The first looked at the age dependent experiences of children in polyamorous families and why they appear to be doing so well, and the second detailed the advantages and disadvantages these children identified in poly family life. Third in the series, this blog explains fourstrategies these kids use to deal with the disadvantages found in poly family life, including blending in, being careful who they told about their families, avoiding the issue completely, and negotiating with parents. Because polyamorous families are not that easy to recognize for most people, kids from these families do not have to do a lot of work explain their families. In many large cities in the US, two is no longer the standard number of parents: Kids of single parents often have one, and kids with divorced parents can have multiple step- or quasi- parents and half-, step-, or quasi- siblings as well. With gay, single, divorced, and adoptive parents now commonplace, polyamorous families often blend in as divorced families that get along well. If teachers and coaches make that assumption, the children from those families usually do not correct the adult’s misinterpretation. Generally, kids from poly families do not have much challenge controlling that information or distracting their peers from inconvenient questions. When kids decide to talk to their peers about it, they tend to find friends who will be open to the idea of an unconventional family. Sometimes these friends come from single, divorced, or gay families and so already understand who it is like to be outside of the narrowly defined traditional family. At other times, the friend is simply open-minded and trustworthy, regardless of their family background. For the children I interviewed, telling their friends about their poly families usually turned out to be of little consequence, just not a big deal. Their peers just don’t seem to care what the adults are doing. Most of the time, the kid from the poly family has been able to get some idea of how their friend might react, and if the poly family kid thinks the friend will react negatively then they usually don’t mention the fact that they come from a poly family. Instead they will not talk about their parents’ partners or call them “Mom’s friends” or something vague, and then change the subject. Younger kids generally don’t have to explain their families to their friends because the friends are no more aware of adult sexual dynamics than they are – the kids are focused on the snacks and games, and the adults exist only as delivery mechanisms for said food and fun. Tweens and especially teens are much more aware of adult relationships, and sometimes these older kids in poly families did not feel like explaining their mom’s girlfriend. In order to sidestep the entire issue of who is that person, these older kids would meet their friends in public spaces like the park or mall. If hanging out at home was in order, these kids would often go to their friends’ homes — unless and until it was worth disclosing the poly family status and bringing a friend to their own home. When kids wanted to have friends over, especially for a slumber party, they would often negotiate to have their party take priority over any slumber party the parents might want to have with their partners. For that Saturday night, the partners must sleep at their own place, or in their own room as a room-mate, or whatever does not require explanation to the young guests. By passing as friends, going home after dinner, or simply being absent, parents and their partners can side step any need for explanation, and the kids can just have fun. 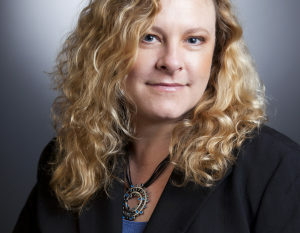 Elisabeth A. Sheff Ph.D., CASA, CSE author of The Polyamorists Next Door: Inside Multiple-Partner Relationships and Families (2014 hardback and ebook, 2015 paperback and audiobook), details Sheff’s findings from the first 15 years of the Polyamorous Families Study. Taken as a whole, these findings indicate four important points relevant to children growing up in polyamorous families. First, for the vast majority of the respondents in my study, the advantages of polyamorous family life significantly outweigh the disadvantages. While polyamorous family life may come with three complexities and scheduling headaches, it appears to be well worth it to the people who sustain those relationships over time, and the kids they raise. Second, all of the disadvantages inherent in polyamorous family life are also present in other blended families as well: Kids in other large families feel crowded too, all kinds of families face various stigmas, and divorced people date people who break up and go away. In other words, there are no disadvantages that are specific to polyamorous families. Third, there are, in fact, advantages that are specific to polyamorous families. These include things like a wider social safety net and the relationship skills to maintain it. Fourth and perhaps most importantly, polyamorous families can provide healthy, loving, stable environments in which children can thrive. This is not to say that all poly families are perfect – obviously they have problems like all families. It is, however, proof against some critics charges that all polyamorous families are pathological and dysfunctional simply by nature of being a polyamorous family. Instead, it is clear that polyamorous families headed by stable and responsible adults with loving and compassionate relationships provide many benefits to the children they nurture. The next blog in this series provides a sneak peek at the emerging findings from the fourth wave of data collection regarding young adults who have been raised in poly families, and the final blog in this series looks at custody of children in poly families.